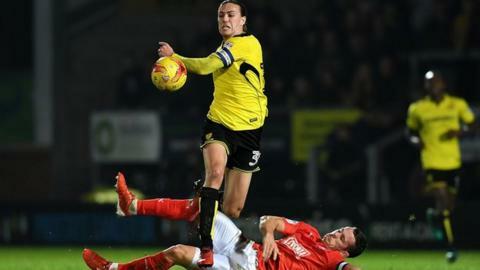 Hull City have signed Burton Albion midfielder Jackson Irvine for an undisclosed fee on a three-year deal. The 24-year-old Australia international scored 11 goals in 45 leagues games for the Brewers after joining from Ross County in July 2016. He is the second player to join the Tigers this week after Wolves striker Nouha Dicko signed on Tuesday. "I couldn't be happier and I'm excited to be starting the next chapter of my career," Irvine told the club website.